Dryers break down every day in Mississauga, ON and when they do Appliance Repairs Mississauga is the dryer service many residents prefer to call. We have built a staunch reputation for swift response times to dryer repair calls. Our appliance repair specialists are well educated for this type of service. They have the right experience to deliver amazing results. Our appliance service experts can repair all major dryer brands effectively, but we can also administer dryer installation service too. 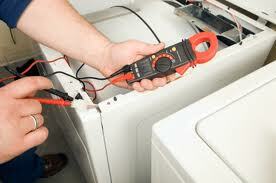 We can install and repair the front load washer and dryer efficiently. We use a special front load washer cleaner that really does the trick. Our experts will have that washer/dryer combo humming smoothly in no time. Regardless of the brand we can fix a top load dryer, or any other type of dryer for that matter, quickly and affordably. Appliance Repairs Mississauga is the most attractive team for these services in the community. Our appliance service professionals are friendly and accommodating at all times. They only know one way to provide repair and installation service for these laundry appliances and that is the right way. 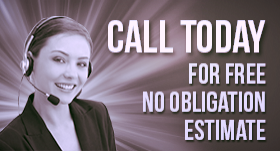 When you want the most dependable team in Mississauga for dryer repairs to work on your laundry units; simply contact us today, and we will answer that call.